Apple has just stopped digitally signing iOS 9.2.1 firmware for all compatible iPhone, iPad and iPod touch devices. This isn’t too surprising as after releasing iOS 9.3.1 late last week with fix for most bugs found in initial iOS 9.3 seed, Apple doesn’t deem it necessary to sign iOS 9.2.1 any longer, making downgrades to the older firmware from iOS 9.3 and iOS 9.3.1 impossible in the process. Now if you don’t care about jailbreaking, this shouldn’t have any affect on your device. Non-jailbreak users can simply update to the latest iOS 9.3.1 firmware which has all the latest features, security patches and bug fixes. As for those of you who are on iOS 9.2.1, we recommend you stay on that firmware and wait patiently for the next jailbreak release. 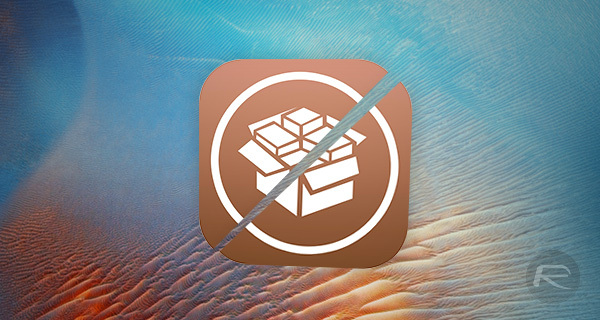 If the recent release of Pangu iOS 9.1 jailbreak has taught us anything, it is to stay on as low firmware version as possible and wait for the next jailbreak. If you are on iOS 9.3 though, we recommend updating to iOS 9.3.1. This is because from security perspective, iOS 9.3 and iOS 9.3.1 are essentially the same firmwares. If there is a future jailbreak release for iOS 9.3, it will likely work on iOS 9.3.1 as well, therefore we highly recommend updating to iOS 9.3.1 from iOS 9.3 as it includes important fix for broken universal links issue. While iOS 9.3 is still being signed, Apple is likely to soon stop signing the said firmware as well, making iOS 9.3.1 the only firmware to which you can can either upgrade or restore your devices. And as we all know by now, once Apple stops signing a firmware, you can no longer downgrade or upgrade to that firmware version. 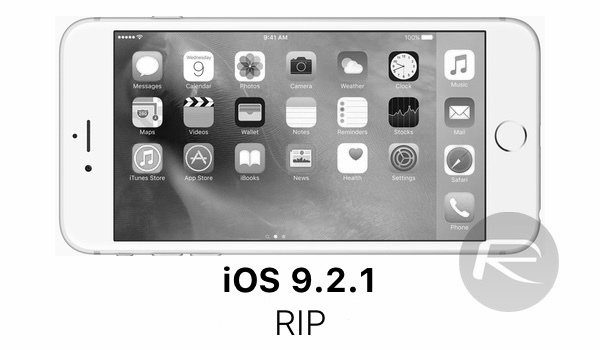 Since Apple has killed the signing process for iOS 9.2.1 today, downgrade to iOS 9.2.1 from iOS 9.3/9.3.1 is no longer possible now. As always, we will keep you updated on any new progress made on iOS 9.2.1 jailbreak as well as jailbreak for iOS 9.3/9.3.1. Stay tuned. Another act of cowardice by the fruit company.